Are you in the market for a new home in Mount Dora Florida? Perhaps you wish to build that custom home you always dreamed about or relocate to one of our new beautiful golf or lakefront communities. 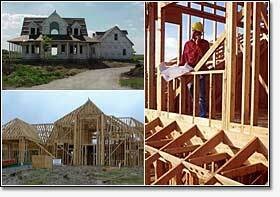 We are agents for Lake County's largest, oldest and most respected home builders. We also keep informed and up to date on all new home developments in our area. If you are buying a new home anywhere in Lake County, before you sign a contract with your builder, call and ask us for a free evaluation.